This article is about the former Privy Council of the Kingdom of England. For the successor Privy Council, see Privy Council of Great Britain. The Privy Council of England, also known as His (or Her) Majesty's Most Honourable Privy Council, was a body of advisers to the sovereign of the Kingdom of England. Its members were often senior members of the House of Lords and the House of Commons, together with leading churchmen, judges, diplomats and military leaders. The Privy Council of England was a powerful institution, advising the Sovereign on the exercise of the Royal prerogative and on the granting of Royal charters. It issued executive orders known as Orders in Council and also had judicial functions. 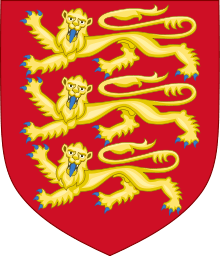 During the reigns of the Norman monarchs, the English Crown was advised by a royal court, which consisted of magnates, clergy and officers of the Crown. This body originally concerned itself with advising the Sovereign on legislation, administration and justice. Later, different bodies assuming distinct functions evolved from the court. The courts of law took over the business of dispensing justice, while Parliament became the supreme legislature of the kingdom. Nevertheless, the Council retained the power to hear legal disputes, either in the first instance or on appeal. Furthermore, laws made by the Sovereign on the advice of the Council, rather than on the advice of Parliament, were accepted as valid. Powerful Sovereigns often used the body to circumvent the courts and Parliament. For example, a committee of the Council — which later became the Court of the Star Chamber — was during the fifteenth century permitted to inflict any punishment except death, without being bound by normal court procedure. During Henry VIII's reign, the Sovereign, on the advice of the Council, was allowed to enact laws by mere proclamation. The legislative pre-eminence of Parliament was not restored until after Henry VIII's death. Though the royal Council retained legislative and judicial responsibilities, it became a primarily administrative body. The Council consisted of forty members in 1553, but the Sovereign relied on a smaller committee, which later evolved into the modern Cabinet. The Council developed significantly during the reign of Elizabeth I, gaining political experience, so that there were real differences between the Privy Council of the 1560s and that of the 1600s. By the end of the English Civil War, the monarchy, House of Lords and Privy Council had been abolished. The remaining house of Parliament, the House of Commons, instituted a Council of State to execute laws and to direct administrative policy. The forty-one members of the Council were elected by the Commons; the body was headed by Oliver Cromwell, the de facto military dictator of the nation. In 1653, however, Cromwell became Lord Protector, and the Council was reduced to between thirteen and twenty-one members, all elected by the Commons. In 1657, the Commons granted Cromwell even greater powers, some of which were reminiscent of those enjoyed by monarchs. The Council became known as the Protector's Privy Council; its members were appointed by the Lord Protector, subject to Parliament's approval. In 1659, shortly before the restoration of the monarchy, the Protector's Council was abolished. Charles II restored the royal Privy Council, but he, like previous Stuart monarchs, chose to rely on a small committee of advisers. The Acts of Union 1707 united England and Scotland into the Kingdom of Great Britain, replacing the Privy Councils of both countries with a single body, the Privy Council of the United Kingdom. According to the Oxford English Dictionary, the definition of the word "privy" in Privy Council is an obsolete one meaning "Of or pertaining exclusively to a particular person or persons; one's own", insofar as the Council is personal to the Sovereign. During the reign of Elizabeth I, the Council is recorded under the title "The Queens Majesties most Honourable Privy-Council". The Sovereign, when acting on the Council's advice, was known as the "King-in-Council" or "Queen-in-Council". The members of the Council were collectively known as "The Lords of His [or Her] Majesty's Most Honourable Privy Council", or sometimes "The Lords and others of ..."). The chief officer of the body was the Lord President of the Council, one of the Great Officers of State. Another important official was the Clerk, whose signature was appended to all orders made. Membership was generally for life, although the death of a monarch brought an immediate dissolution of the Council, as all Crown appointments automatically lapsed. The Privy Council of England was one of the four principal councils of the Sovereign. The other three were the courts of law, the Commune Concilium (Common Council, or Parliament of England) and the Magnum Concilium (Great Council, or the assembly of all the Peers of the Realm). None of these was ever formally abolished, but the Magnum Concilium was not summoned after 1640 and was already considered obsolete then. The Privy Council of Scotland continued in existence for more than a hundred years after the Union of the Crowns, but by the Acts of Union of 1707 the two countries became the Kingdom of Great Britain, with the Scottish Privy Council being merged into the English to create a single body. Nevertheless, long after the Act of Union 1800 the Kingdom of Ireland retained the Privy Council of Ireland, which came to an end only in 1922, when Southern Ireland separated from the United Kingdom, to be succeeded by the Privy Council of Northern Ireland. Alford, Stephen (2002). The Early Elizabethan Polity. Blackstone, William (1838). Commentaries on the Laws of England. New York: W. E. Dean. D'Ewes, Simonds; Bowes, Paul (1682). The Journals of all the Parliaments during the Reign of Queen Elizabeth, both of the House of Lords and House of Commons. London. Dicey, A. (1887). The Privy Council : the Arnold prize essay, 1860. London. Gay, O.; Rees, A. (2005). "The Privy Council" (pdf). House of Commons Library Standard Note. SN/PC/2708. Retrieved 13 May 2010. Goodnow, F (1897). Comparative Administrative Law: an Analysis of the Administrative Systems, National and Local, of the United States, England, France and Germany. New York: G. P. Putnam's Sons. ISBN 978-1-58477-622-2. Maitland, F. (1911). The constitutional history of England : a course of lectures. Cambridge. Plant, David (2007). "The Council of State". British Civil Wars, Commonwealth and Protectorate, 1638–60. Retrieved 30 December 2010. Rayment, Leigh (30 May 2008). "Privy Counsellors – Ireland". Retrieved 30 December 2010. Warshaw, S (1996). Powersharing: White House – Cabinet relations in the modern presidency. Albany, N.Y: State University of New York Press. ISBN 0-7914-2869-9.